A glass front door can be a beautiful addition to just about any home—the one-of-a-kind design elements and added natural light will improve your curb appeal and the look of your space on the other side of the door, too. However, not all homes are great choices for a glass front door. Before your get too excited about purchasing a glass front door, let the Temecula glass door design experts give you some things to consider that might influence the type of glass door you buy, or whether you should buy a glass door at all. What if you live in a highly visible area? If you live in a secluded forest area with more animal neighbors than human ones, then by all means, get yourself a giant glass door. However, if you’re living in a highly populated area with plenty of foot and vehicle traffic, do you really want people passing by to have a clear look inside your home at all hours of the day? In densely populated places, a glass door that exposes your home to passersby could be a security risk—someone could notice the valuables you have in your living room and try to break in and steal them, or a peeping Tom could creep on you and your family right through your front door. Even a few kids with a baseball or a brick could see your glass door and enjoy nothing more than to see it shatter. If you’re truly sold on a glass door in a densely populated area, we recommend getting a door with shatter-proof or double-paned glass—but ultimately, a sturdier and less revealing door is a better option for city areas. This might seem like a strange question—but in areas with lots of birds, glass doors could become quite the hazard. Many birds don’t understand the concept of glass—more specifically, how you can see through but not pass through it—and they will attempt to fly through your glass door and end up injured (or worse) on your doorstep. Areas with lots of bird life might not be the best place for a glass door—birds will be damaged, and so will the door in the long run. 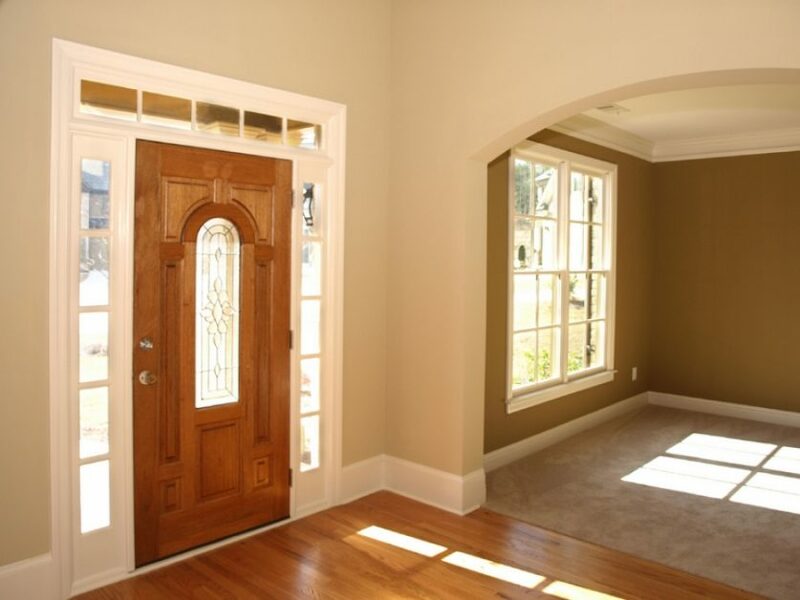 Is your current door in great shape? There’s no use throwing out a perfectly good door, especially if it’s in excellent condition. Buying a glass door to replace it would be a waste of a good door, and the ROI on such a project is underwhelming. However, you could take your current door and have glass inserted for a beautiful and fully custom look! That’s where Your Door, Our Glass can help. We’re California’s experts at custom glass door designs and inserts that can transform an ordinary door into something special. Don’t wait—call us to schedule an appointment today.